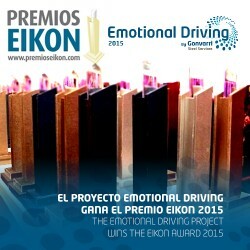 This week, the winners of the EIKON Awards 2015 were announced. An award given to the Excellence in Institutional Communication, where Gonvarri Steel Services has been recognized with the prize of best Internal Communication project. The Eikon Awards serve as a recognition of the institutional communication initiatives given out by the media specialized in Business Communication leader in Latin America. This year’s awards, celebrating its 9th edition, rewards the communication plans of any company, small and medium companies or NGOs, developed in Hispanic markets. The ceremony will take place in Buenos Aires, Argentina, the next 26th of October, where we will know the winners’ final positions. Other companies like Coca-Cola, Toyota, McDonald’s, Nestlé, Fiat, PepsiCo, Phillips and Google will also be present. This recognition, in Latin American markets, will join the others like the International Business Award, the PubliFestival, the Social Company and International SCR Business Award. From LTC we encourage you to visit the Emotional Driving site, where you’ll find more information and the latest news. Congratulations Gonvarri Steel Services for another award!